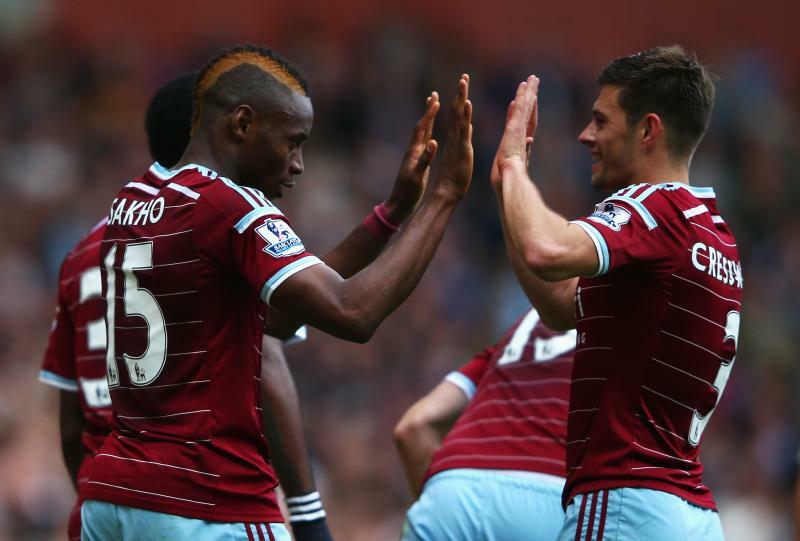 The first half of the 2014/15 season was a resounding success for West Ham United. By December 2014 the Hammers were flying high in 4th place and dreaming of European qualification. Their success was in part down to a solid defence and two in-form full-backs, Aaron Cresswell and Carl Jenkinson. 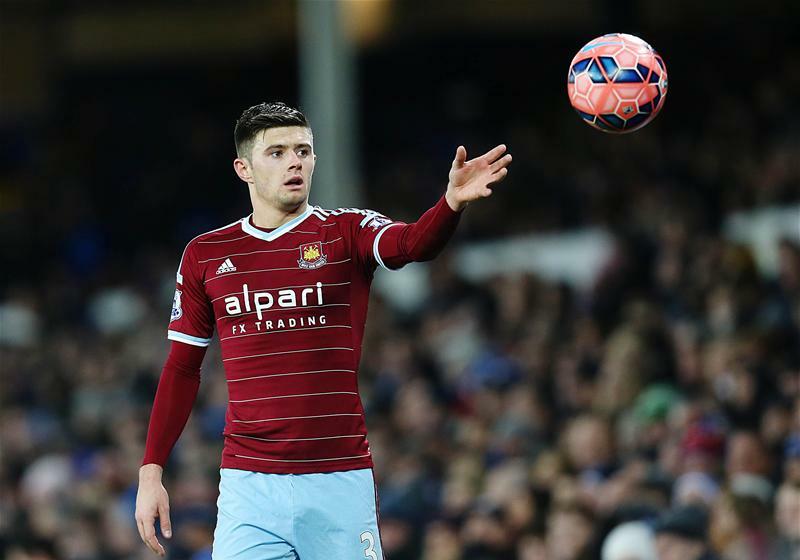 The epitomes of the modern full-back, Creswell and Jenkinson have become stalwarts in the West Ham first team. Cresswell in-particular has worked hard for a shot at the Premier League and now finds himself competing with some of the best players in the world. England has had a bit of a thing for left-backs in recent years and Cresswell has become the latest member of the English left-back union. Born in Liverpool, he progressed through the youth system at Tranmere Rovers before making his senior debut in November 2008. His breakthrough season came in 2010/11 where he featured 43 times for Tranmere in a campaign which saw the club successfully stave off relegation for another year. The youngster had become highly sought after in the Football League with a host of Championship clubs reportedly on his trail. He eventually signed for Ipswich Town when his contract at Tranmere expired in the summer of 2011 and Paul Jewell, the Ipswich manager at the time felt he had signed a solid, young player with a good left foot. Cresswell lived up to the potential earmarked by Jewell and proved himself to be a highly consistent player, making over 40 league appearances in each of the three seasons he played for the Tractor Boys between 2011 and 2014. Strong tackling, high work rate and a left foot brimming with quality endeared him to Ipswich fans and began to attract suitors from the Premier League including West Brom and West Ham. In his final season with Ipswich, Cresswell was a creative force from left-back registering 12 assists in the Championship. He finished joint fourth in the overall assist charts, level with Gareth McCleary, Dave Nugent and Andy Reid, all of whom are out-and-out attacking players. It was almost inevitable that he would be snapped up by a Premier League side. Sam Allardyce happened to be in the transfer market for a new left-back after trying several options during the previous season with Razvan Rat, Pablo Armero, Matt Taylor and George McCartney all struggling to hold down the position for a consistent period. Allardyce had in fact failed to sign Norwich’s Martin Olsson before Ipswich were approached. The £4 million fee West Ham paid for Cresswell was miniscule in the scope of the mega money moves which litter each transfer window. It proved to be £4 million well spent with the defender having played in every league game for the Hammers so far this season. No one would’ve thought that this was Cresswell’s first experience of Premier League football. He has slotted in seamlessly and replicated the consistency he showed during his days at Ipswich. He’s quickly become something of an Upton Park favourite with 2 goals and 4 assists this season including a memorable free-kick against Stoke City. Football writer and West Ham fan, Tom Victor was kind enough to speak to me about Cresswell’s first season with the Hammers. “[H]is arrival at West Ham has had a big part to play in how we improved in the first half of the season. Thanks to his form this season, José Mourinho’s Chelsea have been linked with a summer move for the left-back. Filipe Luís has struggled to hold down a regular place in Mourinho’s starting eleven and César Azpilicueta, whilst defensively sound on the left-hand side, is a natural right-back. Would Cresswell be able to make the step up to a top four side so soon? At 25 years old and with only one season of Premier League football under his belt, it is difficult to judge just how good Cresswell can become and a move to a top four side would be his biggest challenge yet. What is for certain is that Cresswell is a fine example of a player moulded by the lower leagues. Playing regular football in a competitive environment has allowed him to achieve the professional footballers dream and reach the Premier League. What next for Aaron Cresswell? It could well be a transfer to one of the Premier Leagues biggest clubs for the ex-Tranmere youngster.